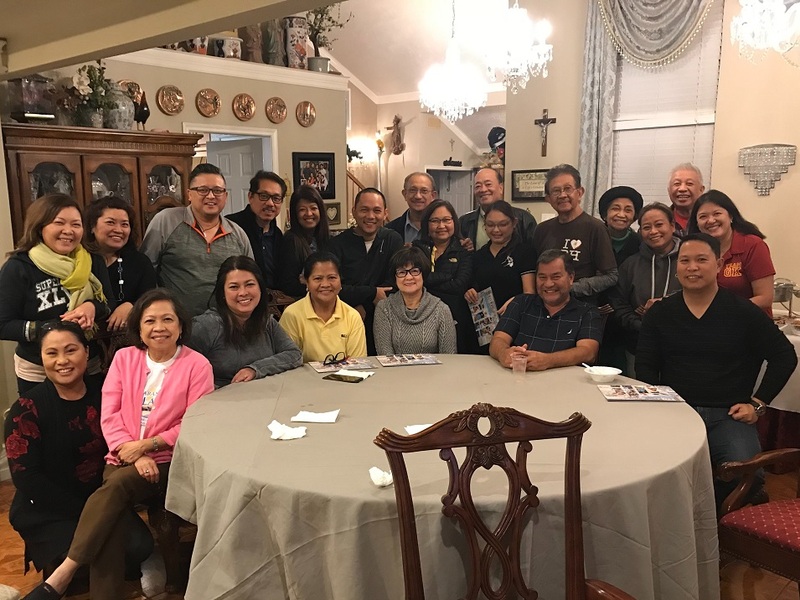 The first two weeks of November was a busy time for GK USA as we welcomed visiting SEED (School for Experiential and Entrepreneurial Development) Director Mark Lawrence Cruz. 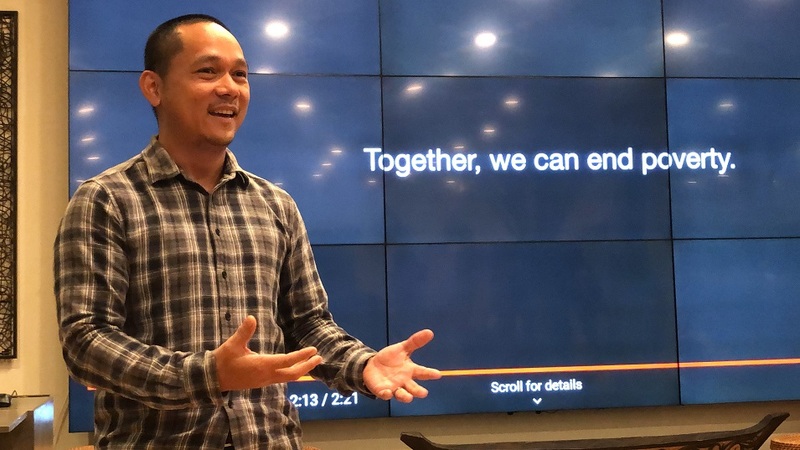 His journey began in 2004 as a volunteer community organizer in Gabaldon, Nueva Ecija where 121 families displaced after four strong typhoons were relocated. 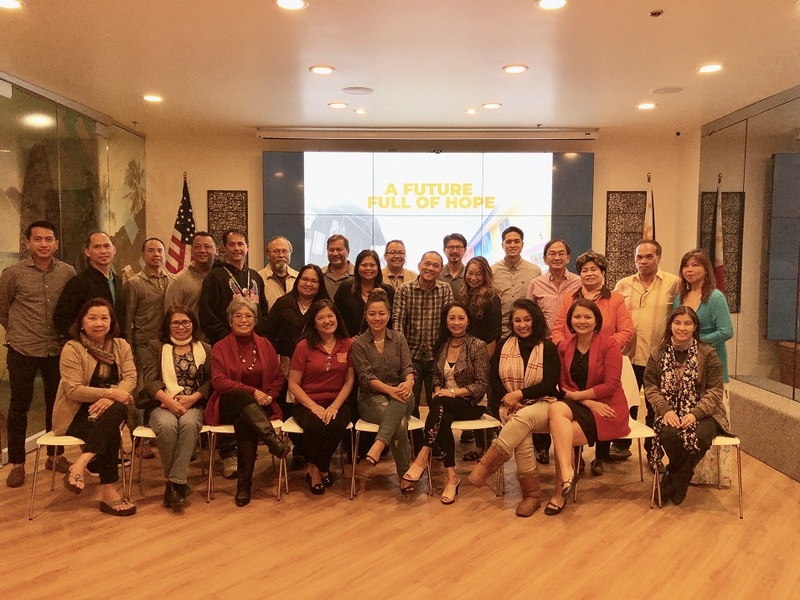 Various mission assignments followed including leading partnerships with Ateneo and other schools for the GK Builder Institute and scaling up Gawad Kalinga’s antihunger and malnutrition programs. 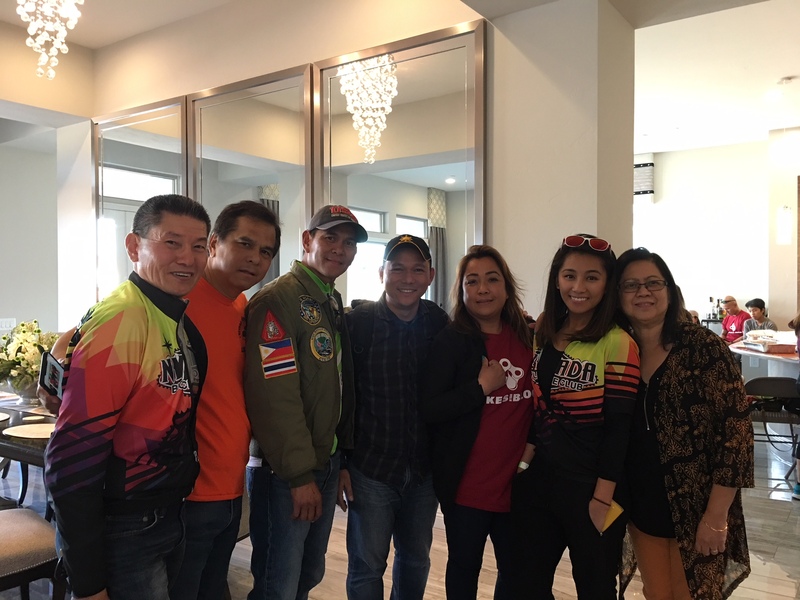 Starting out in Boston, Mark, along with GK USA Executive Director Maricel Villanueva, shared the latest news and initiatives powering GK’s mission. New York, New Jersey, Houston, Virginia, Tampa Bay, Miami, Los Angeles, San Diego and finally, Las Vegas. Every stop was a celebration of sorts. Of love, of hope, of community spirit, of challenges that did not dampen but instead fired up workers and volunteers with a deeper resolve to carry on. The leaders and the teams in the different areas renewed their commitment to the work, sitting down with other volunteers to map out plans for the coming year. Mark emphasized that “when we support GK, we are not just helping the poor. More significantly, we are truly ending poverty on a large scale.” While GK has always been associated with houses, a home is just the beginning. 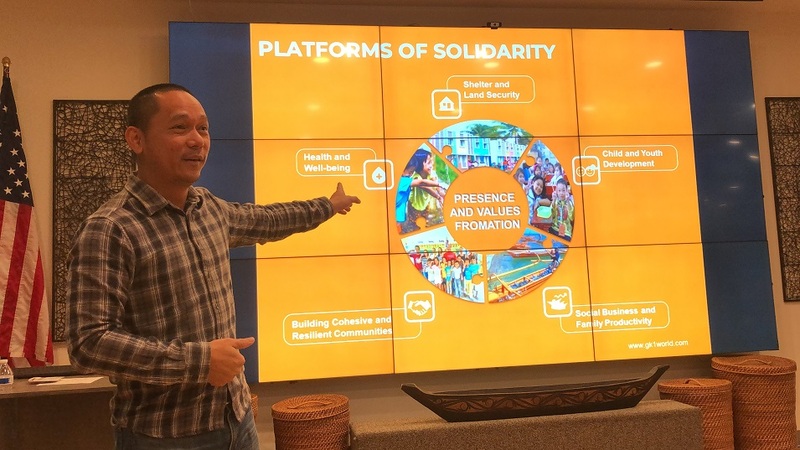 Mark expounded on GK’s approach, particularly its 5 platforms of solidarity, which address issues intricately linked to poverty, namely: (1) Shelter and Land Security (2) Child and Youth Development (3) Health and Well Being (4) Social Business and Family Productivity (5) Building Cohesive and Resilient Communities. He was most happy to share stories of Kusina ng Kalinga (KNK) and the SEED. How the KNK was cited in a bill sponsoring universal feeding in schools that led to successful collaborations among various government agencies, private institutions and GK to end hunger. How young people from the most marginalized communities, bereft of opportunities, proved that hard work and perseverance, character, integrity and competence could open up a world of dreams never before imagined. This is happening through the SEED curriculum and mentorship programs. Examples of successful social entrepreneurs such as OH GK, Friendchips, Keso Beso and many more proved the concept works. The years have been fulfilling for Mark who has experienced both the progress and the perils that come with the work, but the promise of a future full of hope is what sustains him. It is also that same spirit that fuels GK USA volunteers to press on. November indeed was a busy time. May that energy and inspiration spill over to the coming months, drawing us closer to our mission to bring an end to poverty.